Novelist Jonathan Lethem will DJ at the Book Lover’s Barn Dance Aug. 14. One of Blue Hill’s favorite novelists is also a deejay. 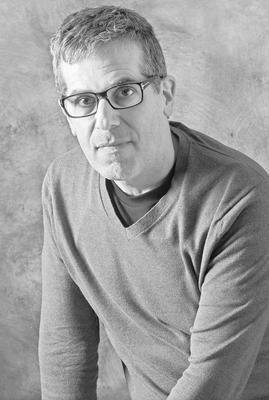 Summer resident Jonathan Lethem, author of Motherless Brooklyn, among other works, will man the turntable at the Book Lover’s Barn Dance, a benefit for Word, Blue Hill’s annual literary arts festival. Lethem will spin funk and soul dance tunes from 7 to 10 p.m. on Tuesday, August 14, at David’s Folly Farm in Brooksville. Sedgwick’s Strong Brewing Company is an event sponsor. According to the news release, the Early Word event also will feature a novel-themed hot-dog bar, cash beer from Strong Brewing, and a special (and mysterious) book sale/auction. Prizes will be awarded to dancers dressed as their favorite authors or literary characters. Word’s second annual festival is scheduled for October 19-21 and will offer workshops, readings, and talks by authors local and distant, as well as a poetry crawl through town and a story evening in collaboration with New Surry Theatre and the Blue Hill Historical Society. Lethem was the keynote speaker at Word’s debut festival last year and continues as an informal advisor. He is the author of 10 novels, five short-story collections, six nonfiction books, and a host of essays. Motherless Brooklyn, a multiple award-winner when it came out in 1999, will be a 2019 movie release starring actors Bruce Willis and Edward Norton. A professor of creative writing and English literature at Pomona College in Claremont, Calif., Lethem received a MacArthur Fellowship in 2005. David’s Folly Farm is located at 1390 Coastal Road in Brooksville. Tickets for the Book Lover’s Barn Dance can be purchased at the door or at wordfestival.org or facebook.com/word.bluehill. For more information, call 374-5632.